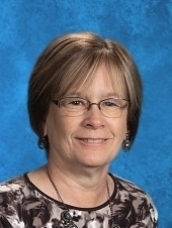 This week, Freeland Middle School is thrilled to introduce you to our secretay and manager of all the happenings at school, Mrs. Barb Starr. Mrs. Starr has been with us for three years, and has been such an amazing addition to our school. When we asked her what the most rewarding part of her job was, she indicated that it is being able to interact with, and help the students, parents, and staff in this community. Whether it is assisting a studnet with a problem, answering parents' questions, helping staff with their needs, or just being a good listener, she loves being here to do whatever she can to make things easier for everyone. She loves the staff she works with, and we absolutely love her too! On behalf of Freeland Middle School, and this community, we want to thank Mrs. Starr for her amazing service to this district. Her hard work and dedication is seen every day, and we love having her here at the middle school!